Games and experiences designed specifically for the location-based entertainment industry. A highly competitive wireless multiplayer VR experience that has amazed thousands of players and onlookers alike. Using physical movement to play the game, players immerse themselves in some serious retro fun. 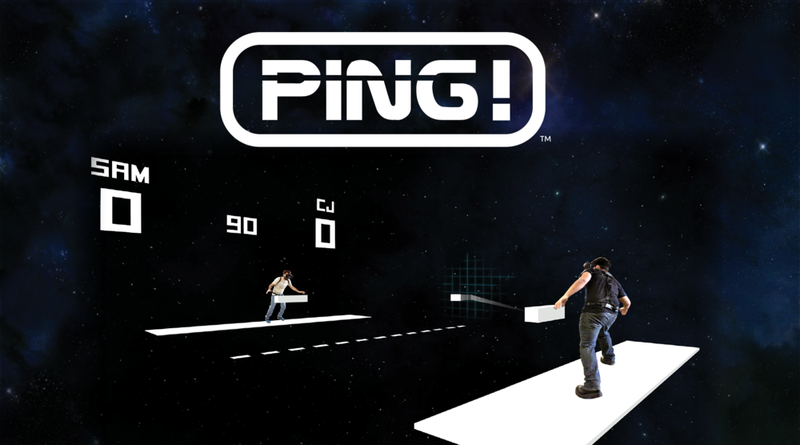 PING!™ is a proven crowd favorite, featuring extraordinary throughput and an excellent replay factor. Easy to learn, hard to master! Invite your guests to vist Ghost Manor™, a fun and spooky virtual reality walk-through experience, unlike anything they have seen before. Guests wirelessly explore haunted grounds on a spellbinding journey full of magical illusions, eerie sights, and sometimes frightening encounters with the unknown. Immerse your guests in a new dimension of fun! Invite your guests to join a salvage mission aboard the U.S.S. Zenith. Players embark on an exhilarating journey to retrieve rare alien specimens in this wireless VR first-person shooter adventure game. Project Zenith™ delivers unsurpassed hourly throughput using Modal's patent-pending Mass Mover Engine™.